The breathtaking mobile ad revenue growth recently reported by Facebook and Google’s parent company Alphabet come with a very disturbing flip side. Many organizations are fueling this growth with ad spend to just get a secondary and tertiary relationship with their customers because they haven’t succeeded in engaging their customers’ attention on mobile. Few, if any, enterprises have won a first-degree relationship with an app on their customers’ mobile device screens. The mobile-driven cloud-platform model that companies such as Amazon, Airbnb, and Uber have used to transform entire business segments has eluded most enterprises. The winners call it digital transformation, and the losers call it digital disruption. The impact of digital disruption on industries such as publishing, retailing, telecommunications, travel and hospitality, and transportation in the past decade predict a point of no return for enterprises unable to transform. Those that successfully transform will operate their businesses on mobile-driven clouds on top of commodity hardware, built with open source software, that will be indistinguishable from Alphabet and Facebook. GitHub’s head of product management Kakul Srivastava spoke to me about how some enterprises are innovating with Github and open innovation models, and are beginning to transform their businesses. Digital transformation begins with the recognition that the enterprise is a software company, no matter what industry segment it occupies. Enterprises turn to open source software to rapidly scale the proprietary IT department’s limits on transformation. Github’s natural monopoly as the repository of open source software projects positions it at the heart of this transformation. It is a unique and early reference point for observing change within enterprises. Both startups and behemoths like Walmart need the collaboration provided by Github’s source code repository and, according to Srivastava, they also look to Github for help with their open source strategies. She explained that building end-to-end core software competency with an open innovation model happens in stages. Jim O'Neill, Chief People Officer at inbound marketing platform as a service (PaaS) company Hubspot, confirmed the central role that Github plays in tech companies’ human resources. He says that his team learns much more from a candidate’s Github account than from his or her LinkedIn profile. He developed this innovator’s perspective prior to leading HR, when, as Hubspot’s CIO, he was building out its PaaS using open source software and commodity infrastructure that is very similar to that employed by Alphabet and Facebook. As a former CIO taking the HR helm to attract and retain the best digital talent, O’Neill confirms Srivastava’s observations about the maturation of Github’s enterprise customers. Transformation hinges on attracting the best talent with new software development skills. Enterprises committed to their own transformation can’t lurk about as an observer of the open source community; they have to rise and become community leaders or the most talented developers won’t join them as employees or contribute to the open source projects that are vital to the organization’s future. At this point, Srivastava said that enterprises start to think about building a community specifically designed to achieve its goals. 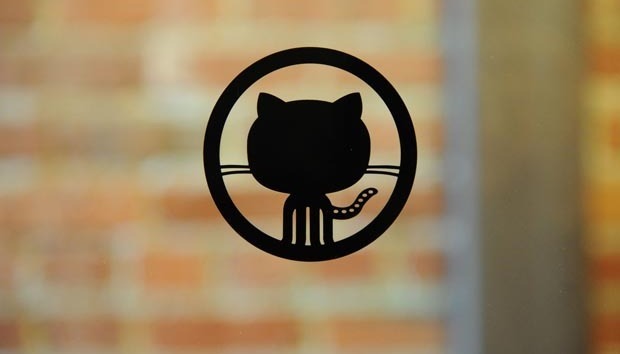 Github’s collaboration affects the enterprise from inside and out. Talented developers are life-long learners. They invest their personal time to learn to program with new languages and to learn new frameworks and methods. Their personal projects drew them to Github years ago. Enterprises embracing open innovation need a platform that is both an exclusive repository for proprietary development and inclusive of the open source community. The forces of the developers’ personal Github choice combines with the need for a collaborative enterprise repository that is inclusive of open source communities to influence enterprises to adopt Github. The walls around the bastions of proprietary software Apple and Microsoft have crumbled from the compelling strategic reasons for open innovation. Keepers pointed out that Apple open sourced its Swift programming language to achieve the dual goals of better understanding what Apple’s independent developers need to build innovative apps and to forge closer ties with them. And Microsoft can’t keep its customers and move them to its Azure cloud without independently developed open source software and open sourcing its own technology, such as .Net and Visual Studio. Srivastava spoke about Walmart, an enterprise customer that has open sourced OneOps, a cloud management tool it uses internally to run the infrastructure for e-commerce sites so that companies can more easily build cloud apps independent of Amazon’s proprietary cloud. Another enterprise reference point is John Deere’s innovation lab in Germany that both Srivastava mentioned as one Github’s most innovative customers and Dr. Frank Fitzek of the 5G lab at the Technical University in Dresden cited as building industry-leading technology for autonomous farm equipment. Srivastava also referred to similar but confidential developments in the financial industry. It’s early in the enterprise struggle between digital transformation and digital disruption. The enterprises that will succeed at transformation and those that will fall victim to disruption will become clear from their participation in Github and open source/open innovation communities.